A saying we find rings true in many areas of life, and most definitely rings true with long-term financial planning. If you rely on your loved ones or on federal programs like Medicaid and Social Security for your retirement, long-term healthcare can leave you with gaps in coverage and lacking funds. Long-term planning is vital to keeping you comfortable in your old age, both physically and emotionally. What’s your long-term care plan? Do you have a plan for your health and financial well-being as you get older? Believe it or not, many elderly adults neglect to think ahead and set a plan for their long-term care and regrettably end up in a less-than-ideal situation. This is an easily avoidable devastation. You deserve proper care, so start planning. Many people are overwhelmed by their own personal finances, let alone the complexities of the financial services industry. Perhaps you don’t know where to start or who to trust. Don’t let that cause you to hesitate to find a financial professional to partner with you. A financial professional will provide invaluable insight and guidance in creating a plan that gives you added peace of mind by laying out how you will be able to live the life you want. You deserve the opportunity to pursue your personal financial goals. And you also deserve to have a financial advisor by your side who has the proper skills, knowledge, and passion to help you make smart, effective decisions. We at Strong Tower Associates want to talk with you about your financial needs in your golden years before it’s too late. Planning for long-term healthcare costs is just as important as planning for retirement. The good news about retiring in your 60s is that you probably have another 20 years to do the things you love. (1) Maybe it’s golf; maybe it’s traveling. The bad news, however, is that your retirement savings need to be robust enough to not only cover your general costs of living and hobbies but also your healthcare needs as your health inevitably begins to decline. Statistics project that the number of people using paid long-term care services in any setting (e.g., at home, residential care such as assisted living, or skilled nursing facilities) will likely double from 13 million people in 2000 to 27 million people by 2050. (2) In fact, the national average costs for long-term care in the United States comes in at a whopping $225 a day, or $6,844 per month, and that is just for a semi-private room in a nursing home. (3) With a price tag that high, it is imperative that you weigh your options for buying long-term care insurance, because if you decide you want it, the best time to buy is between ages 50 and 60. After age 65, the cost goes up. What Type Of Care Do You Prefer? If you have early signs of Alzheimer’s or dementia, or if you suffer from a chronic disease that will require ongoing care or daily assistance, do your homework; research facilities that offer the care you’ll need, and share your preferences with your family. 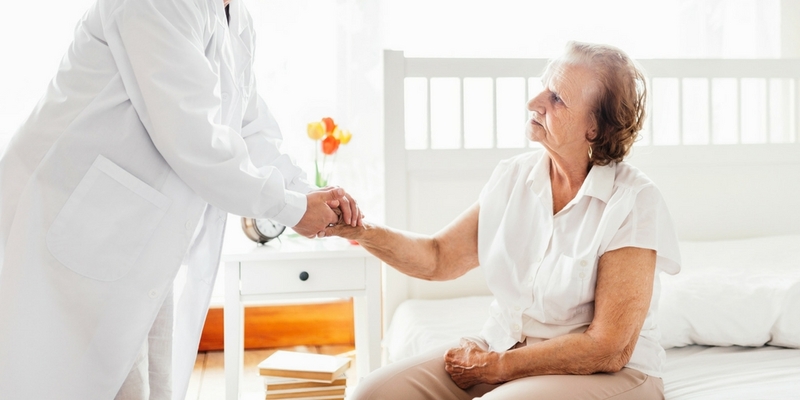 Would you prefer to live in a nursing home or would you prefer nurses and assistants come to your residence? Do you prefer a religious community of care? There are several preferences to take into consideration when considering your long-term care plan. Having the option to make these choices yourself lends much-needed autonomy to your long-term care plan. If you wait until you need it, you may not be in good enough health to make the decision. Of course, your preferences will need to be flexible based on your health and finances, so discuss those options with family members as well. Regardless of where you are in life and the financial obstacles you face, our comprehensive financial planning services at Strong Tower Associates can help guide you toward a more secure future. Speaking of wishes, an important part of your care plan is to ensure you have an updated will and advance directives, signed and notarized as required by your state. This legal protection ensures that your wishes are carried out. Sit down with family members and share your wishes with them so they’ll be aware of your preferences and needs. Here at Strong Tower Associates, we are dedicated to professionally supporting, educating, and providing informed direction to each and every client. We want to encourage you to take the first step toward increased peace of mind. Click here to request a meeting online or get in touch with us by calling 814-325-9806 or emailing hello@strongtowerpa.com and let us help you plan for your future today.